We love a good shopping session. Uh huh. 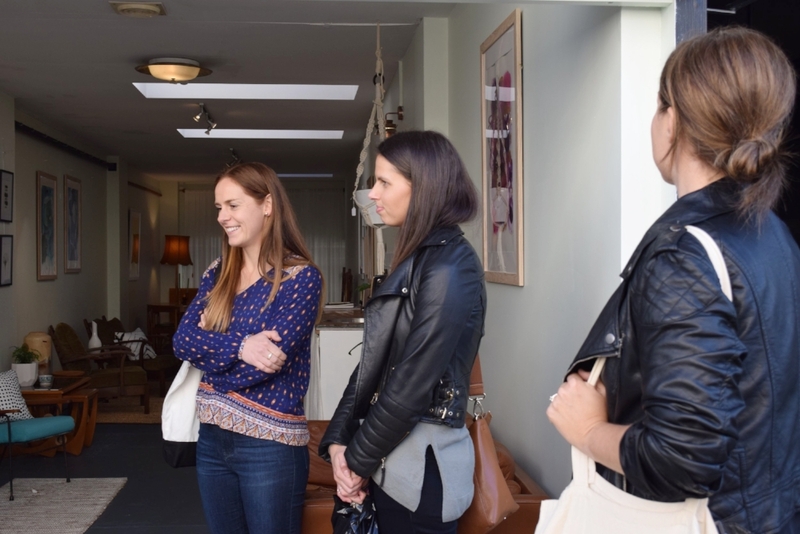 And we were recently invited to experience a Boutique Shopping Tour in Launceston. All Artisan lead design focused boutique shopping tours on foot in Launceston. Perfect for locals who want a little extra. Including meeting the makers, the owners anda few discounts along the way. And perfect for visitors who would love a little extra local knowledge. See the sights. And find some fabulous shops + gifts along the way. Essential Homebody Tea Bar + Shop. You had us at Tea. Honestly. We already had a long time love of this store. But had not been in since they added the oh-so fabulous Tea Bar. The most beautiful space with the most beautiful teas. Plus fabulous clothes. Gifts. Homewares. And delicious little treats. OUR PICK. 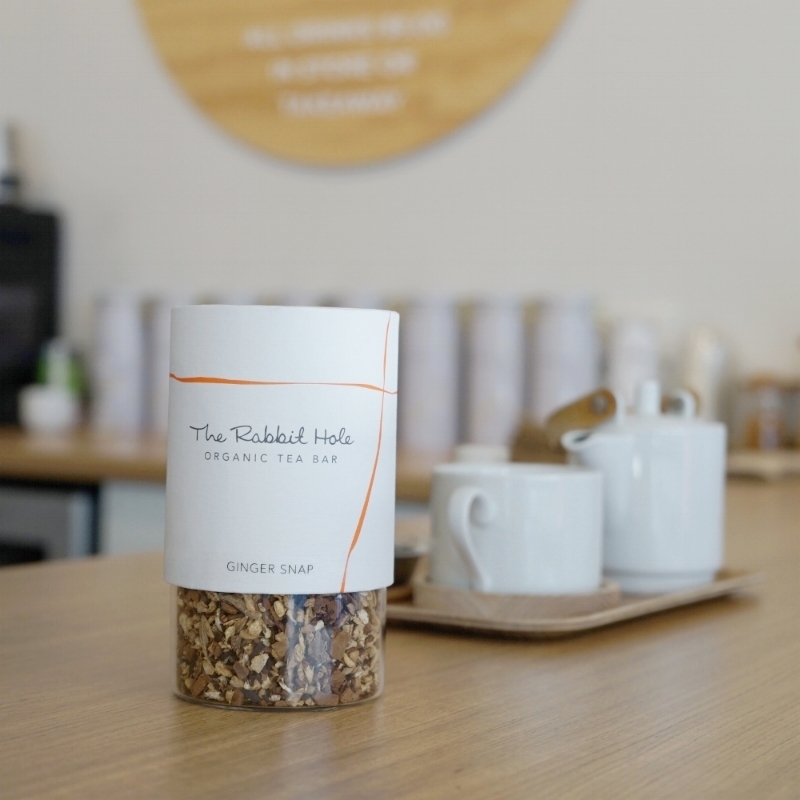 The Ginger Snap Tea. Described as ‘Bold. Warming. Faithful’. Everything you want in a tea. Bold. Colourful. Clothing. Ceramics. Jewels. And more. Loved everything. The store was a breath of fresh air. Vibrant and full of fun. OUR PICK. Totally loved the clothing. But we could not go past the beautiful colour pop painted pots. If we were not well-known plant killers. We would have purchased them all. We could easily live in this store. We. Love. Everything. Furniture. Cushions. Blankets. Gifts. Clothing. Oh-so many fabulous things. And the lady behind the store, Lindi is all sorts of fabulous too. OUR PICK. Besides purchasing the biggest most beautiful mustard cushion in store. We loved the range of Linen Bedding. And the bed. Heck yes. This store was a well hidden. And a total gem. Up a little laneway. Tucked away in the coolest of cool spaces. Full of upcycled beauties. They are always busy upcycling and sourcing new pieces. Which means popping in every few weeks is a good idea. Ok. Maybe every week. Our pick. We are Danish furniture lovers. And adored an old Vintage Leather Couch. Then the shopping continued. Florage. Kika & Co. Westerly Store. A short stop at Inside for a shop and the most delicious lunch. Then onto Palace Homewares. The Vintage Rose. And finishing at one of our all time favourites Design Tasmania. Madeline is the super star behind All Artisan. She also makes the most beautiful custom bedheads and has a rocking style. We had a chat to her about all things shopping. WE LOVE SHOPPING. AND WE LOVE SHOPPING TOURS. CAN YOU SHARE WITH US WHAT SHOPPERS CAN EXPECT. We have collaborated with local designers and independent traders around Launceston to create an intimate, boutique, shopping experience that will leave you feeling inspired, creative and with lots of wonderful new things to enjoy. Ours include introductions to designers, makers and boutique storeowners around Launceston. Attractive discounts at the places we visit. Opportunities to purchase unique items. Demonstrations and giveaways. A break to refuel with something yummy - our shout! A goody bag to take home including further discounts and coupons for other locally owned stores. Local knowledge, inspiration and friendly advice. AND WHAT MADE YOU COME UP WITH THE IDEA OF BOUTIQUE SHOPPING TOURS. I went on an interior shopping tour in Melbourne a while back and loved it so much that I thought I'd recreate a similar experience in my local stomping ground of Launceston. I love the heart and passion of small business owners and want to provide a platform for them to share everything they have to offer. The design scene in Tasmania is rich with talent and deserves to be shared. WHERE ARE YOUR FAVOURITE PLACES TO SHOP. Oh, don't make me play favourites - there are so many, which is the very reason I take people on tour. Essentially I love anywhere that values high quality, over quantity. How about I list some of the ones we visit (in no particular order) Westerly, Kika & Co, Palace, Design Tasmania, Current Junk, Seagrass Design, The Vintage Rose, Hope & Me, Ecoco, Florage, Essential Homebody, Oxfam, Cocoon Living and Inside. Not only do you get to get your shop on. You get to meet the local business owners. Learn a little more about them. And enjoy discounts and gifts along the way. The best! AND WHO ARE YOUR TOP FIVE TO FOLLOW.